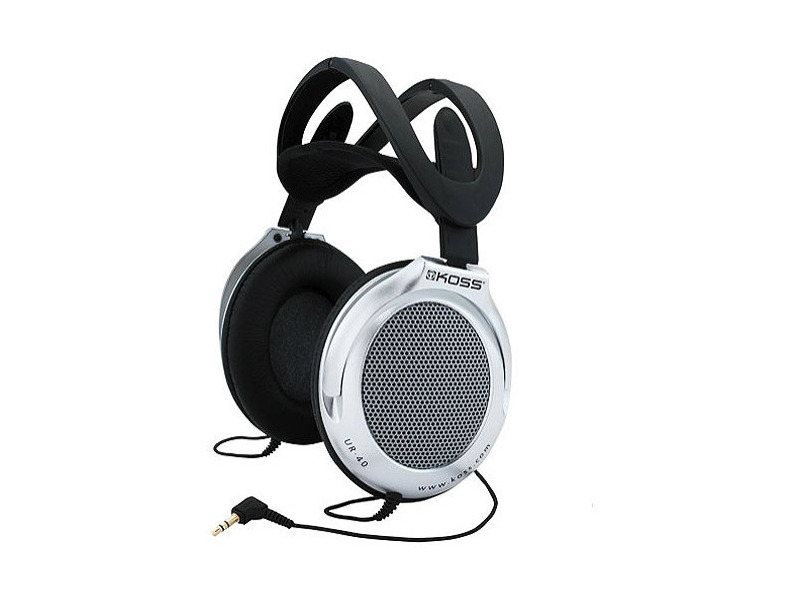 Home and portable audio take on fresh life with quality headphones, and Koss's lightweight, closed-ear UR40 is designed to keep outside noises out and headphone sound in--perfect for use in busses and libraries alike. With its extended frequency range of 15 to 22,000 Hz, you'll never miss a single bass note or want for high-frequency splash or shimmer. The UR40's titanium driver elements ensure taut low end and clear treble, while its collapsible headband design further lends it to portable applications and protects the headphone when not in use. The headphone comes with a four-foot, dual-entry cord and a .25-inch stereo adapter for use with hi-fi components. Excellent sound quality and top notch wearing comfort. Excellent stereo headphones for general private high fidelity listening all round. A very short connecting cord. I found it necessary to patch in an extension cord to obtain sufficient length. I purchased these headphones to replace an earlier set that had failed. The UR/40'S are used only for high fidelity listening, plugged into a high quality dedicated stereo headphone amplifier that I've built from a kit. I like these headphones. The overall audio quality is excellent with very good bass, clear midrange and clean extended treble. They mate well electrically with any typical design of modern headphone amplifier. The efficiency is good and they can be driven hard without distortion. The wearing comfort is excellent. I realize that wearing comfort is highly subjective and individual, but the UR/40's are my favourite headphones to wear and the adjustments allow a good fit to all head types and shapes. I find that I can happily wear the headphones for long periods without any discomfort or wearing fatigue. These is good isolation from external noises and sounds whilst they are being worn.